Mujitsu and Tairaku's Shakuhachi BBQ / I "Kan' and sometimes I 'Kan' not. » I "Kan' and sometimes I 'Kan' not. I "Kan' and sometimes I 'Kan' not. Think way back now, some of you....did you ever have any trouble stabilizing your Kan register? I have really been making the second octave my priority this week but it seems to come and go more so than when I was learning to play Otsu. In particular I am finding "Ri" hard to get and even harder to hold steady and clear. Its probably just going to be a matter of time and more practice but I thought maybe some of you would have some tips that could allow me to get a better grip on the second octave. Re: I "Kan' and sometimes I 'Kan' not. Practice is key, I think. Also, in my troubles stabilizing kan, Chikuzen suggested practicing on a smaller shakuhachi (a 1.6 for example). This really cleaned up my kan. It may depend on your particular embouchure. You are safe with more practice though. 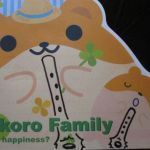 You might want to try playing long tones in kan, and practice ro no otsu seems to help as well. How are you trying to get there? It's true that the goal is to be able to wake up in the morning, pick up the flute and play the highest note in kan with a clear attack and solid tone, but until you can do that, work your way up there. Start with Ro, or maybe Tsu because Ro in kan can be tricky too and work your way up playing long tones. When you lose it go back and start again. Octave leaps, or Ro otsu to Ro kan, Tsu otsu to Tsu kan, etc., can be helpful too. And don't overlook that your fingers might not be sealing the holes. A short duration leak that may be easy to recover from in otsu can cause a note in kan to completely fall apart. If you have talent, it usually takes about three years to be able to produce consistent tones. So don't worry about results yet and just keep practicing. Also a strong otsu is the best way to develop strong kan. So don't neglect the first octave. If you have talent, it usually takes about three years to be able to produce consistent tones. So don't worry about results yet and just keep practicing. To expand on the above: At this point of your development perhaps one of the most important things you can bring to the table is realistic expectations. Being able to hit kan reliably on demand takes a very long while. And being able to hit kan reliably on demand sounding well takes even longer. I think it took me two years before I really felt I could hit kan in a way that I knew I could count on it most of the time... and another two years to produce a tone in kan that I actually enjoyed hearing. But I was / am an amatuer hour a day guy - and not particularly talented. Generally you will find that the really stellar players spent their first few years practising 4 or so hours a day and and so they will report that their development was far quicker. Also take note that this challenge never goes away all together. I once witnessed a master in a formal concert loose his kan on a pretty central note. Here is some actual actionable advice on this topic: I have a very distinct memory of having my kan / otsu shifting abilities take a very significant step forward after a few weeks of doing the interval exercises in James' shakuhachi exercise workbook. My experience reflects somer of what everyone here has mentioned. I just passed through my 3rd year and am now finally getting "something" of a consistent Kan. Of course development will take me a good long time i imagine. I went through my frustartions, but my teacher would tell me "just play, what comes out comes out". Practice will gradually get you there." And she was right. As others have suggested Long Tones, lots of Otsu Ro. But also long tones of kan. Another helpful technique was doing long tone scales. Dividing the Long Tone in half, playing the first half Otsu, and blowing it into Kan for the balance. It seemed to help my lips get used to the otsu/kan transition. The majority of my practice is on a 1.8, and i will say Kan is easier when i take out the 2.0! Our cold dry winter months present a challenge on days where i've spent a good deal of the day outside. Those days where the mouth and lips dry out, well those are the days i Kan Not as well! Erin, I wish I could show you. Well, of course even though I show you it still takes time building the muscles for the embouchure + to get in control. But I can try to explain a little. You have a hole between your lips where the airstream comes out at a certain speed and width. And with this airstream you are able to create the notes in otsu. Now, in order to play in kan you need a faster and narrower airstream. It is so that by narrowing the opening your airstream will both get narrower (logical) and faster because you are blowing the same amount of air through a smaller hole. This is a good basic point to think about when trying to learn to play kan notes. The theory may not hold water 100%, but one main problem when learning to play in kan is not to blow like a crazy and just get into kan by force. Playing kan by just blowing harder would not make your notes sound nice at all and you will not be really in control either. If you look at yourself in the mirror, you can actually see the lips moving a little forward when going up in kan register. This is partly because of the narrowing of the hole, but also because the sweet spot where you should aim to hit with your breath is a little different than when playing in the otsu register. In general it is a little higher up on the back side of the utaguchi. Now... that said when you become an experienced player, you can change consciously where to hit with your breath in order to change timbre or even to change the pitch. As everyone has noted, practice is the key. However, I noticed a jump in my ability in the second register when I was able to practice several times a day for a few days in a row. Usually, I practice for an hour or two in the morning. However, in October I went on a retreat with my Sangha and was able to practice between meditation sessions several times throughout the day. They don't need to be hour long practice sessions every time, but picking up the flute more than twice a day for four days in a row really made a big difference. As Kiko said, it is about muscle development. With other, larger muscle groups, you generally need a few hours, if not 24, for recovery before retraining them. The facial and lip muscles, though, are very small and, therefore, recover very quickly. They can be worked several times a day. Recently, at Ro Camp with Chikuzen, I had another opportunity to play many times in a day. I noticed similar strides after this as well. FYI, I am just a beginner like you and just speaking from my own experience, so take it for what it is worth. It's very true that an hour a day is going to require a lot of patience. I don't think there are many instruments you can get really good at by practicing only 1 hour a day and flutes are even more limiting because a lot of that practice time is spent on tone production. Add to that the fact that shakuhachi is one of the more difficult flutes to produce a tone, and I'm thinking that there are many things that will remain elusive for very many years, maybe even forever, with one hour a day. This is one of my pet peeves. What the heck is talent? There are obviously some highly publicized prodigies who just seem to have natural ability for whatever they're doing and it's not a stretch to think that there is a spectrum of degrees of natural ability. But, a lot of what is attributed to lack of "talent" I'm fairly certain is a failure for a teacher to communicate how to practice. And it might not be possible for a teacher to teach the student how to practice by simply teling him how. There's a reason the student didn't pick up the practice techniques naturally in life-experiences like the more "talented" student, and there are different ways to communicate that work well for some but not for others. It could be that he hasn't encountered the same life-experiences or that he missed the point durung a similar life-experience because he learns differently. Western teachers tend to talk and explain, teachers from other cultures like to demonstrate, maybe a student who isn't picking it up fast with a Western teacher will do well with a non-Western teacher or vice-versa. As for myself, I don't think I understood what I was doing wrong until in a workshop David Darling demonstrated to the workshop participants how to practice by practicing himself and talking out loud his thoughts as he was doing it. 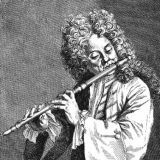 It might be a difficult thing for wind instructors to do (David Darling plays cello), but some similar technique could possibly be devised and used for wind instruments. Ah yes, faster airstream. How do we get that without blowing harder? In addition to altering the direction of the airstream, one approach is to alter the shape of the inside of one's mouth. Otsu is probably played with the tongue in the bottom of the mouth, and maybe back a little, being careful to not strangle the sound. By moving the tongue progressively forward and up, Bernoulli's principal comes into play, and kan and even dai-kan should be more accessible. May not be your cup of tea, so to speak, but it works work me. I appreciate your assistance in hijacking this thread. But above all of these there is an elusive 'musical talent.' Some people are just better at hearing and manipulating sounds better than others. I love playing music, but it is painfully obvious to me that I am not particularly talented at it. Of course this does not refute your points, but it remains that talent is still an important variable. And I appreciate your honest talk about what can be accomplished with one hour a day practice. I think the price that needs to be paid for true shakuhachi excellance is one of the shakuhaci world's little secrets. But what I am unsure about is to what extent this makes the shakuhachi unique among other instruments. 1. Blow against the back of the lower lip instead of aiming at the utaguchi itself. Blowing the lip into the banana (curve of the utaguchi) will help quite a bit. This is also useful to get rid of the "I'm blowing the flute" mentality. 2. Like Kiku mentioned, the direction of the airstream has to change. It's easy to get Otsu by blowing 'down' into the cylinder of the shakuhachi but try blowing straight out in front of you for kan.
3. Play a smaller flute. Otsu on a 1.5 or smaller-to your lips- is the same as kan on a 1.8. 4. Play in a meri position to get the note. Later you can practice bringing the chin up. The goal here is to get kan as much as possible so that your lips and muscles "remember" how to. My experience was what Kiku was saying not to do: I blew as hard as I could, causing myself and my neighbors much pain. However, because I did experience kan (not play) I did eventually throttle down and get the consistency and control. I have found the best "getting kan" exercise for beginners is to play a note in the otsu register, then in the same breath try to change it to kan, noticing exactly what you're doing with your embouchure. Play till the end of the breath, trying to keep the note in kan; then more on to another otsu note, switching it to kan, etc. This exercise emphasizes the embouchure and keeps you from puffing and blowing to get up there. Shakuhachi community I am deeply grateful for the time and thought you have taken to reply to me in this thread. If is so wonderful to not only hear your advice, which I am sure to re-read many times, but also to gain some perspective at this early point in my shakuhachi journey. I have only had a few lessons with Alcvin so far and therefore don't really have any idea of how quickly one can be expected to gain the basic shakuhachi skills. I myself don't feel in a hurry however I am sensitive to not wanting to waste either Alcvin's time or my money. And I may have misinterpreted his rather quick comment, when I couldn't blow any notes in the Kan register at my second lesson, as meaning, 'well just practice a little more and you'll be able to play them next week'. I was rather naively concerned that if I returned to the lesson this week unable to play Kan, there would be nothing for us to work on! I know, I know, you smile at this naivtte, and some day I will come back to this thread and smile too but these are early days and my efforts are still baby steps at best. So again thank you for sharing your experiences and your teaching skills and providing such sincere support. One hour practise a day is great. We have so many things going on. Airin, a good beautiful Kan will take some time:-) There is a lot of good music to be played in the lower register. A strong low register makes it very easy to play high notes. Most of my students have taken at least several months to be able to get the kan notes. I had one student who took about a year to get them consistently so as Geni mentioned one hour a day is a great way to set the foundation and build up your embouchere. Work on those long tones in the low register. I was rather naively concerned that if I returned to the lesson this week unable to play Kan, there would be nothing for us to work on! Whoops! I hope that concern wasn't because of a post I made on a different thread where I mentioned that with silver flute I felt like I wasted a lot of time because of teachers continueing to teach while I couldn't even play and reach notes well. If it was, it's obvious I've got to be more a bit more careful in what I say because it'll be read by students of all levels. To clarify, it wasn't actually a waste, the teachers continued to teach notation, interpretation, which composers were important and why, some music history, and other good stuff. It was disconcerting though that there was clearly something missing because I "learned" all these pieces yet knew I couldn't play any one of them even well enough to show my friends and relatives what I was learning. It took a particular teacher to bring me back to one of the more beginner pieces to hammer at it for a good 6 months or so where he taught me to play each note in tune with the proper dynamics, get all the ornaments right and refine it to a point where it sounded good... no matter how long it took. There are different ways to learn any aspect of playing, and that includes tone production. One way is to pratice each tonal-technique individually, ie. starting with a soft tone and cresendoing, starting loud and getting soft, adding vibrato, and so on. Another way is to go through pieces mostly and use individual "problem" sections of a piece as an exercise. Each has it's own merits and you'll find opinions in each camp as to which is best. Either way, with almost any flute, there are very few tonal problems that you'll be able to resolve within a week. As far as my saying 1 hour a day wasn't really enough earlier, it seems that would need some clarification too. For very new beginner, getting 1 hour a day would be commendable, you'll be lucky if you can figure out what to practice for a full hour. Of course, shakuhachi is so picky that some full sessions might be spent just trying to reach a particular note, but in general it'll take quite a few lessons just to learn what to practice. I still think though that it would take truckload of talent and efficient practice to ever really get to master or even just get very good at shakuhachi with 1 hour a day practice. As far as Geni sayng that 1 hour is fine with so many things going on, was the other things going on musical activities? If so, there's probably a significant amount of transference. If not, I still think just 1 hour is pretty far to the low side. The good thing is that the more you learn the more you'll have to practice so you can spend those extra hours easily. I guess it's my turn to chime in now..
For those who may not know.... i'm a professional guitar/bass teacher and i've been playing for 25 years and teaching for over 14 years. In my experience it takes about 1000 hrs of really good quality "practice" to be what most non-musicians would call "good"
If you're looking to be a pro.. it takes about 10x that... about 10,000 hrs. practice regularly and the results are dramatic and instantaneous. I firmly believe that "talent" has little or nothing to do with your progress. p.s. Arin......How is the progress in playing the 2.4 coming along? how many hours do you really practice? I think it very healthy to be realistic & practical to make that conection of what we want to do & what can we do. One hour is realistic. You can get a lot done with one hour. 15 min Long tones with a tuner in front of you. 10 min scales- slowly with a metronome & tunner. 5 min intervals - Tuner & metronome. 30 min - stick with one song first. record your practise & listen to it later. I know you're mostly playing off the idea that some people like to learn by technical explanations with your post, but I think I disagree about moving the tongue forward and up. To play in kan the tip of my tongue stays in the same position as when I'm in otsu and the middle of the tongue stays pretty much in the same place too although there is some slight movement. The difference between playing otsu and kan doesn't really feel like blowing harder to me, but most of the difference for me feels like it's coming from the muscles that work the lungs, so maybe I am actually blowing harder. I don't know for sure if it's right, but it seems to work. Two to three hours each instument (shakuhachi and ney), I've got a lot of free time right now. A lot of it's just noodling though. With silver flute (about 25-30 years ago) it wasn't until a stint where I spent about 4 hours a day for about six months that I felt like I could really play. That experience left me with the impression that it is what the pros do to get really good. Maybe it's not necessarily the truth. With a highly disciplined regimen like that I've got to admit that you can get a lot of bang from 1 hour practice. Not to be disagreeable, but as far as being realistic goes, I find it much more difficult to be that disciplined than to find the time to practice the extra hours (the first step is to turn off the the TV, realistically, don't touch that power button ). Your effective, disciplined practice yeilding great results formula sounds like the typical Berkeley ideas where I know you're teaching and learning. Those methods most definitely have been proven, but it's still kind of like dieting, even though most work some will be easier for any particular individual to stick to. Of course 10 hours a day for 3 years to get that 10000 hours would be unrealistic, but do you think that 3 hours a day for 10 years (about 10000 hours) would leave you at the same level as 1 hour a day for 30 years (also 10000 hours)? I don't even have any opinion on this matter, I simply don't know. Next step would be to get kan sound more controlled and more nice, especially the higher ones...I find the high D (or go no ha?) the most difficult. (only hole 1 en 5 closed). My advance apologies to all of you trying to stay on topic. Your posts are admitable. You play shakuhachi AND ney?!? I am very impressed and a little shocked. You picked two notoriously difficult instruments. I would've encourged you to pick up recorder, drums or perhpas the triangle as your second instrument. Is there a ney teacher in upstate NY? Can you do kan on a ney? I would love to play ney, but am way too intimidated. How is is compared to the shakuhachi? One of my hobbies is making gross over generalizations about things I don't fully understand. Like this one for instance: I think to be a real pro ANYTHING, but especially a pro-musician, requires that you not be too curious. If someone is pursuing shakuhachi and suddenly they get distracted by another two or three instruments and hobbies and so on, that will really undermine the amount of time they were investing in their shakuhachi studies. And wow, that will really add a few years until they hit that magic 1,000 or super magic 10,000 hour finishing line. But if you are not terribly curious, and you remaind focused, you will cross the line much sooner. So musical mastery is not just a product of being disciplined but you also need to be a sort of horse with blinders on your face preventing you from looking at beautiful but distracting objects on the side of the road. And one last thing about talent: In retrospect I still say that talent matters. A lazy student may indeed blame a lack of talent when in fact he is just lazy. But that does not mean that talent is not a big factor in explaining different development speeds. So talent does matter, but perhaps it matters less than genuine passion for the instrument. Passion is what makes all those hours of 'practice' into hours of pleasure. I would definitely agree with that Seth! I follow a very disciplined practice structure similar to the style of geni's. This keeps me focussed and makes good use of the time I have available to play the shakuhachi. After and hour or one and a half hours of organized practice I 'reward' myself, Jacques, by playing the 2.4. I enjoy its deep tones and I allow myself just to noodle around on it making nice sounds and coming up with pleasing combinations of notes and tones. In total both the concentrated practice of scales, ro buki, sasa buki, long tones and second register, for example, and the shakuhachi play that follows are a wonderfully enjoyable experiences.